Ecumen Evergreens of Moorhead seeks a Clinical Director, RN to join its team. Ecumen Evergreens of Moorhead consists of 30 assisted living and memory care units. Ecumen creates home for older adults wherever they choose to live. 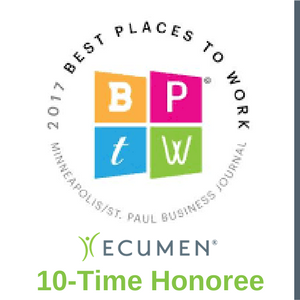 Our employees are dedicated to empowering our customers to lead richer, fuller lives and have consistently recognized Ecumen as a “Best Place to Work,” an award by the Minneapolis-St. Paul Business Journal. The Clinical Director ensures that the health and safety needs of all residents are met. This position is responsible for the management and supervision of all direct care staff, ensuring that staff are trained and competent to deliver all nursing tasks. The Clinical Director ensures the facility is in compliance with current state and federal regulations and follows all nursing standards of practice. Completes initial assessment of each resident, determines nursing care needs, and creates a service agreement/plan appropriate for each resident. Performs supervisory visits and reviews/revises service agreements as needed and/or required. Ensures residents have up to date care plans that are appropriately delegated and performed by direct care staff. Reviews resident health records to ensure documentation is accurate and appropriate and that all physician orders are signed and implemented within specified time-frame. Supervises RNs, LPNs and Resident Assistants. Assists with hiring, training, competency reviews and CEU verification. Consults and communicates with resident’s physicians, any needs, concerns or changes in condition; promptly initiating physician’s orders. Updates resident and/or responsible party with changes as needed. Maintains and monitors medication administration program; provides medication training to new employees, supervises medication practices, and communicates with physicians regarding medications and medical conditions. Ensures compliance with regulations and is available for federal and state licensure surveys as needed. Assists in the development and implementation of policies and procedures. Works with leadership team to ensure emergency procedures are in place. Responds appropriately to safety hazards, fire drills and other emergency situations.